 I have spoken in my heart, saying: Behold I am become great, and have gone beyond all in wisdom, that were before me in Jerusalem: and my mind hath contemplated many things wisely, and I have learned. And I have given my heart to know prudence, and learning, and errors, and folly: and I have perceived that in these also there was labour, and vexation of spirit,  Because In much wisdom there is much indignation: and he that addeth knowledge, addeth also labour. My dearly beloved daughter, the times ahead will shake the world from its slumber, irrespective as to what religion, if any, people follow, for the voice of the little horn will command attention from all over the world. Seated in the chair of Peter, this imposter will shout aloud and proudly proclaim his solution to unite all churches as one. Hailed as a modern innovator, he will be applauded by the secular world because he will condone sin. He will bring in new laws, which will, not only contradict the teachings of the Catholic Church, but which will go against all Christian laws. The priests who oppose these messages will be forced to reconsider them when the awful truth is revealed. The truth of my word, given to you, my daughter, will slowly dawn on them at last. How they will weep in sorrow when they realise that it is I, Jesus Christ, who – with the blessing of my Father – reveals to you the end time prophecies in every detail. The false prophet, while busy with his lofty ambitions to impress the world’s Catholics, will be pushed to one side, for a while, because the antichrist will now enter the world stage, as foretold. When you hear the media reports of the new, promising, skilled, peace negotiator, you will know who he is. He will be a very close ally of the false prophet and is under no illusion as to who he is – the son of satan. Remember that no matter how frightening this may be, that I, Jesus Christ, am King. No man, no enemy, has more power than God. But the battle for souls must be fought, as foretold. 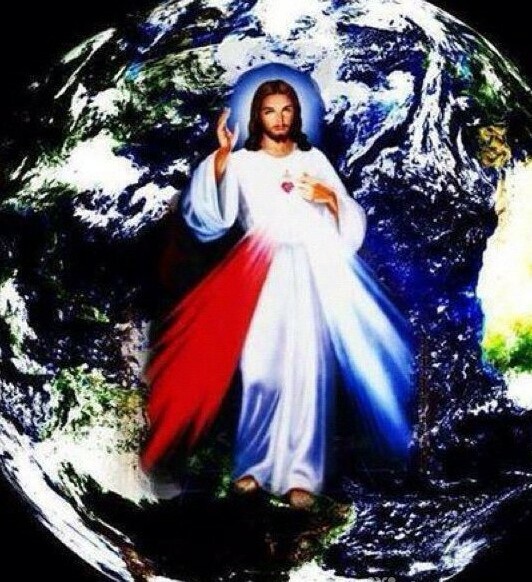 By spreading My Word, My messages and My prayers, you will help Me to save the souls I need, so that my new paradise can be filled with all of God’s children. Not one of you will be left untouched by My Hand of Mercy. Allow Me to open your hearts so that you will be blessed by My Hand. I will respond immediately to your call. And I, brethren, when I came to you, came not in loftiness of speech or of wisdom, declaring unto you the testimony of Christ. For I judged not myself to know anything among you, but Jesus Christ, and him crucified. And I was with you in weakness, and in fear, and in much trembling. And my speech and my preaching was not in the persuasive words of human wisdom, but in shewing of the Spirit and power;  That your faith might not stand on the wisdom of men, but on the power of God. Howbeit we speak wisdom among the perfect: yet not the wisdom of this world, neither of the princes of this world that come to nought;  But we speak the wisdom of God in a mystery, a wisdom which is hidden, which God ordained before the world, unto our glory:  Which none of the princes of this world knew; for if they had known it, they would never have crucified the Lord of glory. But, as it is written: That eye hath not seen, nor ear heard, neither hath it entered into the heart of man, what things God hath prepared for them that love him. But to us God hath revealed them, by this Spirit. For the Spirit searcheth all things, yea, the deep things of God. For what man knoweth the things of a man, but the spirit of a man that is in him? So the things also that are of God no man knoweth, but the Spirit of God. Now we have received not the spirit of this world, but the Spirit that is of God; that we may know the things that are given us from God. Which things also we speak, not in the learned words of human wisdom; but in the doctrine of the Spirit, comparing spiritual things with spiritual. But the sensual man perceiveth not these things that are of the Spirit of God; for it is foolishness to him, and he cannot understand, because it is spiritually examined. But the spiritual man judgeth all things; and he himself is judged of no man. For who hath known the mind of the Lord, that we may instruct him? But we have the mind of Christ. You must not allow distractions or doubts to stop you from imparting every single word I give you. Man must never doubt the prophecies handed down since the day of moses. Not one prophecy contains untruths. Now as I reveal to the world the secrets and my plans for humanity, kept from you, up to now, do not turn away. For I present to you now many things still to come, which you, my disciples, must be informed of, so that you do not fail to prepare for my glorious return. Let no one deny themselves the gift I bring of eternal life. Those amongst you, fortunate to enter the new era when Heaven and Earth will become one, must follow the path of truth. Now is the time for your faith in me, your Saviour, to be truly challenged and tested. You will soon be bullied into rejecting my messages. Every effort will be made to force you to reject my word and to declare the truth to be heresy. Turn your minds now to my birth. To the teachings I gave humanity so that they could learn how to prepare their souls. To the sacrifice made by My Death on the cross to salvage souls. Because of this you must trust me now. I am the light, which shines down upon the path you must walk. On either side of this path, evil spirits will pull at you, torment you, try to get you to walk back the same way you came and into the darkness. They will do this through the taunts of others who will pull you apart because of your loyalty to these messages. You must stay in silent meditation, read my word and feel my presence. Allow my Holy Spirit to calm your heart and feel My Love envelop you. As your pain intensifies, because of this mission, know that you are in full union with me, Your Jesus. Allow me to embrace you in order to give you the courage needed to continue on this journey with me until the day I come to reward you.